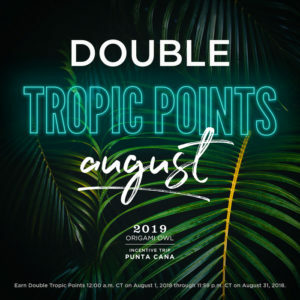 Plus, DOUBLE Your Tropic Points in August! 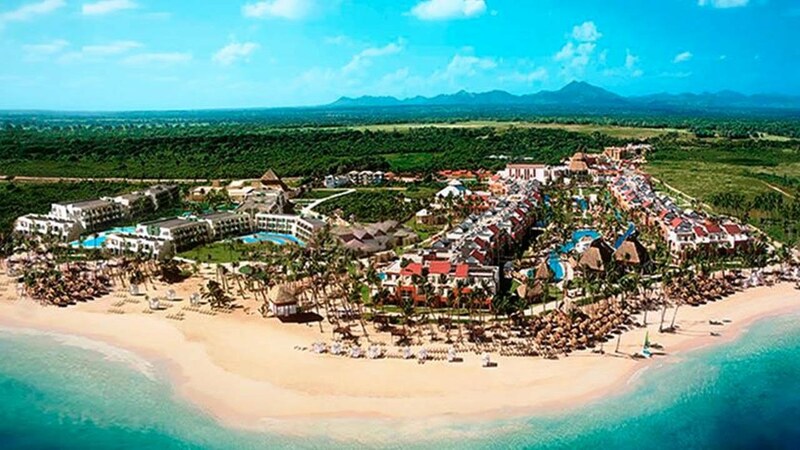 It’s one of the top 10 destinations in the Caribbean and YOU could be there! 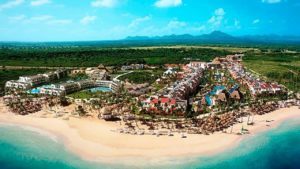 It’s time to Tropic Like It’s Hot and set your sights on the pristine beaches, swaying palms and crystal-clear waters of the Dominican Republic’s Punta Cana in 2019. 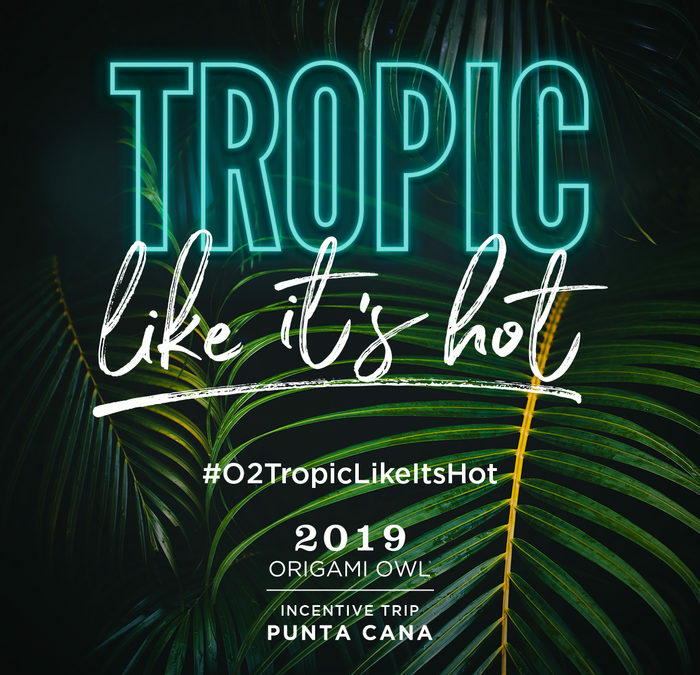 Origami Owl® Designers who generate 16,000 Tropic Points or 20,000 Tropic Points between August 1, 2018 and January 31, 2019 will earn either a trip for one or a trip for two PLUS CASH to use towards travel to vacation in style at the NOW Onyx Resort April 3-7, 2019 for four nights at this stunning, all-inclusive resort. 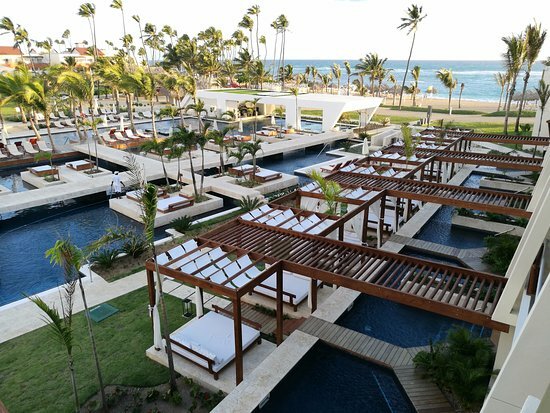 Located in Uvero Alto, the NOW Onyx Punta Cana is set on a remote, palm-studded beach. 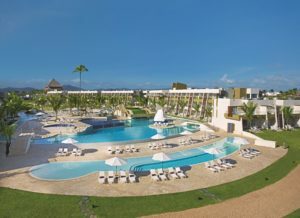 With endless land and sea pursuits, parties and live entertainment for all ages, five swimming pools, 10 restaurants, 10 bars, a casino, a nightclub and a world-class spa, the fun times spent at Now Onyx Punta Cana will be unforgettable. Must earn a minimum of 3,000 Tropic Points from Personal Volume (PV). *Exchange rates are subject to change at any time, without notice. Tropic Points are earned from Personal Volume (PV) generated and Personal Volume (PV) generated by new Personally Sponsored Designers sponsored during the incentive qualification period. PLUS, you can also earn Paid-As (PA) and Rank Advancement (RA) Tropic Bonus Points. Earn one (1) Tropic Point each time you generate one (1) PV cumulatively during the qualification period. Earn two (2) Tropic Points each time a new, Personally Sponsored Designer* generates one (1) PV, cumulatively during the qualification period. *New, Personally Sponsored Designers are defined as those who are personally sponsored during the Tropic Like It’s Hot qualification period. Designers can earn Tropic Bonus Points monthly by being Paid-As their highest Achieved | Career Title Team Leader and above or for Advancing in Rank for the first time to a new Achieved | Career Title of Team Leader and above. *To earn Paid-As Tropic Bonus Points, a Designer (including inactive, re-enrolled and re-instated Designers) must be Paid-As the highest Achieved | Career Title (Team Leader and above) they have reached from the time they first enrolled with O2. **To earn Rank Advancement Tropic Bonus Points, a Designer (including inactive, re-enrolled and re-instated Designers) must advance in rank above the highest Achieved | Career Title (Team Leader and above) they have reached from the first time they enrolled with O2. For more details and rules FAQs, read more here. 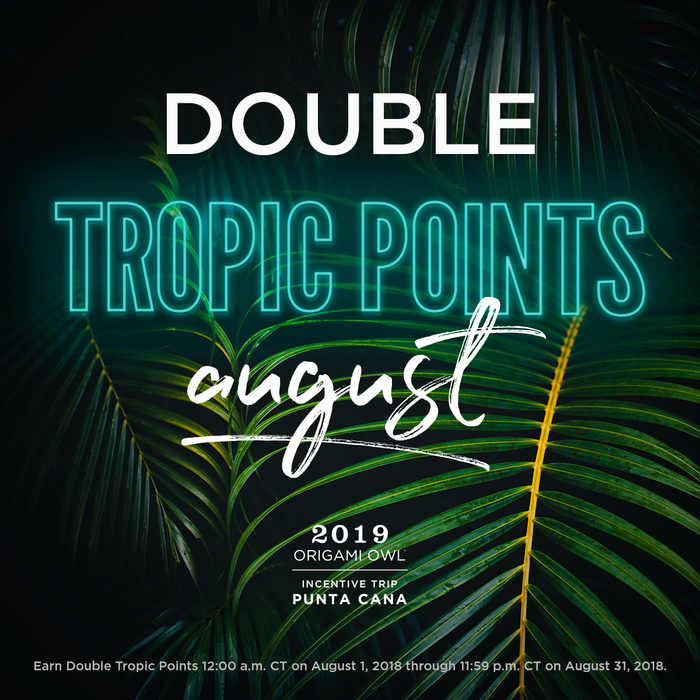 We want to help you get your Tropic Points off to a flying start, so for August only, we’re DOUBLING your Tropic Points in all four categories! If you’re ready to Tropic Like It’s Hot, be sure to join the upcoming event in the Designer News From the Nest Facebook Group here. This event will feature guest trainers, our Sales Team and more who will walk you through how you can set your goals and earn those Tropic Points! We will also share a video of Senior Field Vice President Tami Butcher and Director Breanna Johnson’s training from stage. Keep an eye out in the “events” section of the Designer Facebook Group and join the fun! What are you waiting for? Get your team together, create your game plan for success and start earning Tropic Points so we can see you in Punta Cana! Share that you’re going for it on social media with #O2TropicLikeItsHot.